Bella's Beauty Spot: Pizza Hut Perfume? I've been in the business of reviewing perfume for some years now. I've seen all kinds of crazy scents and names. I honestly thought I'd heard it all. Till now! 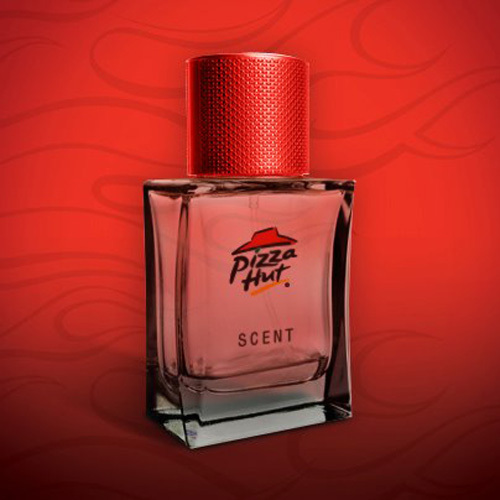 Pizza Hut has came out with their own perfume. I'm sure most of you have already heard about this on the news, I guess I'm more interested in who will wear this? It all started with Pizza Hut posting a picture of the bottle one their Facebook page as a silly joke. They asked their followers if they would wear the scent, and guess what? People said yes! (Yah right, I dont believe it!) 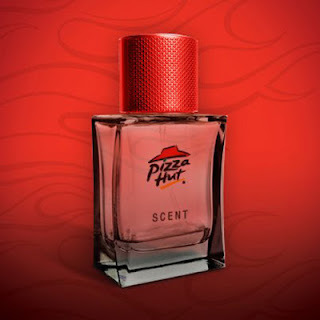 Here's a statement from Pizza Hut Canada: "As for the scent itself, [Grip Digital's Adam] Luck said, “it smells like dough with a little bit of seasoning added.” Pizza Hut’s director of marketing, Beverly D’Cruz, noted that the perfume is more about entertainment than aroma. “We discovered it was hard to match the smell of freshly baked bread, but it smells somewhat close,” she said, adding that one could also spray the perfume around a room to make it smell like pizza." Will you wear this ? I don't think I would, but I would love to smell it!